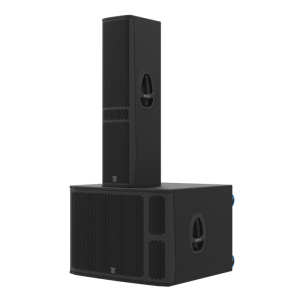 Versatile self-powered column PA systems endowed with high quality components. 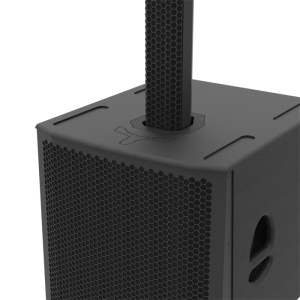 The series compromises 2 models, one 15" and one 18" active subwoofers both equiped with a 4in voice coil European transducer chosen to provide clean, undistorted low frequency reproduction at very high sound pressure levels and able to withstand high power levels without damage. The T406 column speaker constructed in 15mm birch plywood and the T803 in aluminum featuring a vertical array assembly of 4x 6" MF + 1.4" HF (T406) and 8x 3” MF + 1" HF (T803) EU transducers which combined with the subwoofer results in a rock-solid low end and smooth, detailed highs and a well-defined midrange combination. The latest in Class D amplifier technology is incorporated in this LANE systems series ensuring ultra-quiet, highly efficient and low distortion output combined with a fully programmable DSP (user friendly software) for real time operation according to different environments and music styles providing an acoustically perfect transition between the subwoofer and the mid/high array assembly. 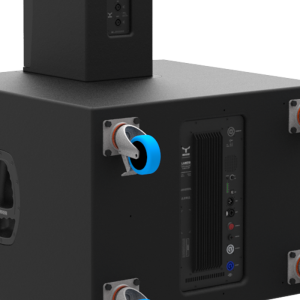 With 5 presets than can be loaded on the rear panel, the class D amplifier is prepared for 85-264Vac universal mains and features various electronic protections to guarantee the use of the speaker system in perfect sound and safe operation. 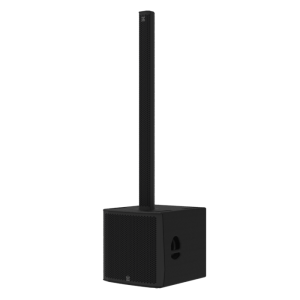 The LANE1400 system offers a custom multi-pin connector to minimize setup time for a truly “Plug and Play” system and the LANE3200 a Ø35mm pole mount socket for stand support. Both column speakers have their own wall mounting bracket.